This is my boat which I use for most of my Islamorada fishing charter trips! 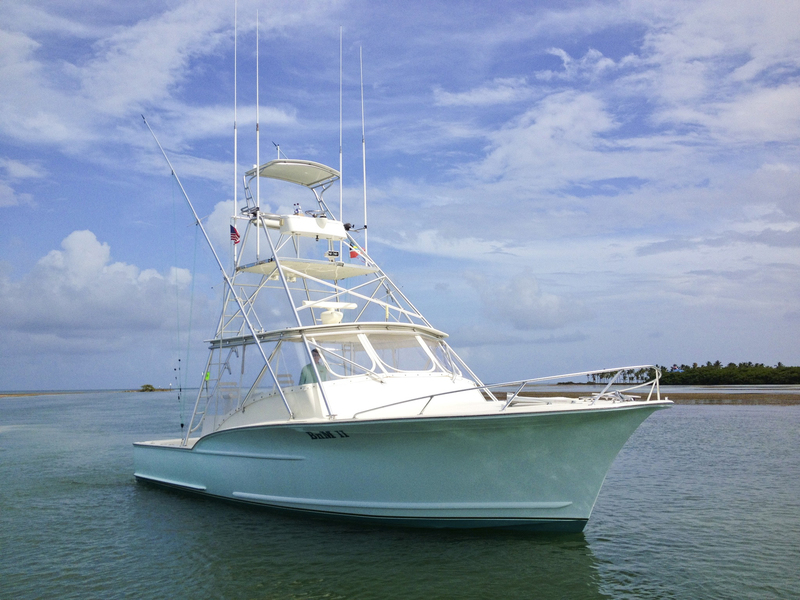 She is a 36′ Jersey Devil Express Sportfish and a great fishing vessel. The boat had one owner until I purchased her in April 2013 and she was maintained in excellent condition. Many people consider it a fishing yacht. She has plenty of seating for up to 4 anglers, and a small AC downstairs with a bathroom and a microwave. She has twin diesel yanmar engines – a great safety factor having two engines plus increases maneuverability which is extremely important when fighting fish such as swordfish and sailfish. She also boasts a tuna tower which is a necessity when on a Florida Keys Deep Sea Fishing Trip , in order to spot fish far away when we “sight” fish for certain species. It is equipped with two on- deck 50 gallon bait wells to hold all the live bait you could ever need. She also has outriggers for trolling and live bait fishing for sailfish, as well as electric kite reels for kite fishing. A fighting chair / rocket launcher sits in the middle of the cockpit ready for swordfish, large shark, or other ‘monster’ species,’ as well as standup kite fishing. 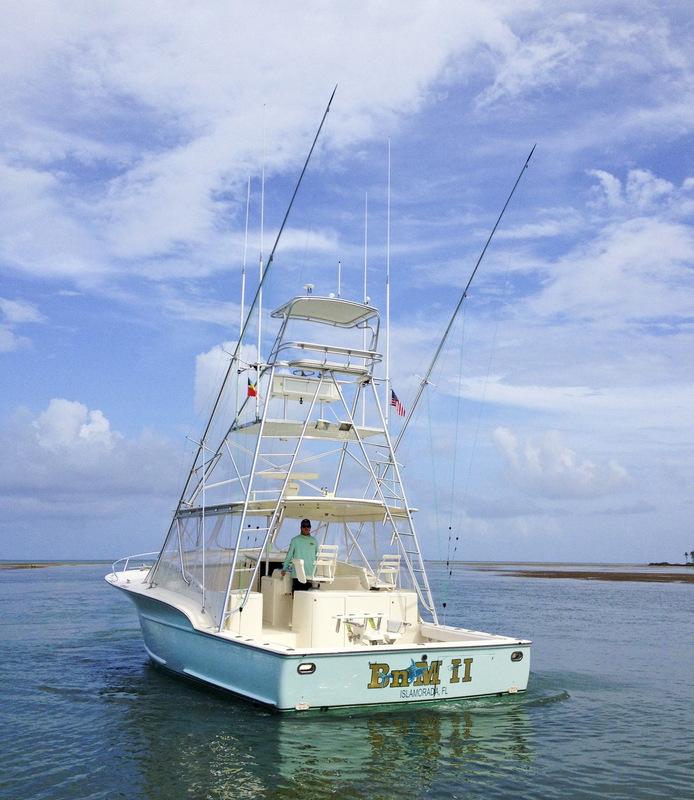 You’ll enjoy an Islamorada offshore fishing charter aboard the BNM II! Give me a call at 305-481-0366 or email me at bnmcharters@gmail.com!